Adoption, a beautiful and complex process, is one that needs to be thought through and planned out extensively. Determining whether adoption is right for you is a life-changing decision, and not one that can be made lightly. There are many factors that need careful consideration. The following five questions are not only common but also essential to ask yourself and your partner when contemplating adoption. Why do I Want to Adopt? This helps you truly evaluate your reason for adopting. Be completely honest with yourself. Do you feel pressured to parent? Do you feel you have a duty to provide a home for a child? Are you trying to show how open-minded you are by welcoming another culture, race or ethnicity into your home? Remember, children are not political statements. They are human beings seeking love and acceptance just like you. Have you suffered a recent loss? For many couples, this is a painful reality. Infertility is fairly common, and grieving loss is an emotionally challenging process. Adoption isn’t a Band-Aid. It won’t replace a lost or dream of a child. No child deserves to feel like a consolation prize. Do you have a heart that can transcend having a child of your own flesh and blood? One who you will love unconditionally and accept no matter what? Laugh and cry with, support through the good times and bad, and give them the best life possible? If this is you – wonderful! Am I Willing to Adopt a Child of a Different Race? Many times, adoptive parents will seek to adopt children who are of the same race and ethnicity, so that their children will look like them. This may be to avoid any uncomfortable questions, obvious differences or potential judgments from those outside the family. In other words, remaining within the comfort of their heritage is a matter of security. Being labeled “different” doesn’t sit well with all families. It’s important to examine your own beliefs and worldview when considering what race of child you want to adopt. If your brain automatically goes to a particular race over the rest, why is that? What is the reasoning behind it? When you think about adopting a child of a race different from your own, what is your gut reaction? It is positive or negative? Rest assured, your family will undergo a change when you bring a child of a different culture into your home. But this isn’t a bad thing. In fact, the outcome may surprise you. Not only will you be showing that you are more open-minded about the world, you will be able to teach your child — and any other children you have — that skin color isn’t an issue. That they are all special and wonderful in their own ways. Am I Comfortable Telling Them Their Adoption Story? This crucial piece helps you plan the appropriate time to talk to your child about their adoption story. Adoption can be a challenging topic to explain, and it can evoke varying emotions or other questions. You’ll want to be prepared for how to traverse this with them. Will you be comfortable telling them how you chose adoption and answer any questions they have – as hard as they may be? Will you be comfortable helping them find out information regarding their birth parents or heritage? For best practices, it’s strongly encouraged to use the word “adoption” from day one. Age-appropriate language can be implemented as your child grows up, but creating a familiarity around the concept of adoption and the process itself is essential to establishing open-communication with them later on. It will also assure them that it’s nothing to be ashamed of, and that reassures them that they are surrounded by a loving family and support system. Do I Meet the State Requirements? Adoption laws can vary from state to state, so be sure to check with your adoption agency or attorney to ensure that you qualify and meet all of your state’s adoption requirements. In Colorado, specifically, both children and adults can be adopted. The adoption process is typically similar for each case. Other requirements can be discussed with your adoption agency. Am I Ready to Commit to Adoption? Due to the innate complexity of the adoption process, and because Colorado is an Agency State, it’s always best to consult with your adoption agency to discuss your situation. They will help guide you through the whole adoption process. Be sure to still research as much of the process as you can, and ask any and all questions you have. Adoption is one of the most rewarding, selfless decisions any parent can make. There is no right or wrong. It is about what is best and right for you and your family. If it’s right for you – go for it! 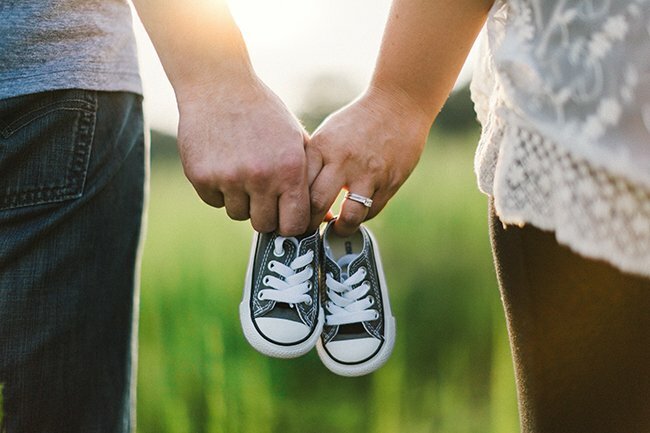 For more information on adoption or if you are currently in the process of adopting a baby and have any questions or concerns, feel free to contact, Adoption Choices of Colorado. We can reached via our website or our phones: 303-670-4673(HOPE). Adoption Choices, Inc. is partnering with Crowd Rise, a fundraising website for nonprofits, to help our adoptive parents and birth parents with much needed financial assistance. We understand that expenses keep clients from fulfilling their dreams. Both with birth parents making a plan for adoption, and with adoptive parents growing their family. It is our mission to provide financial assistance through grants and scholarships, awarded annually in November, in honor of National Adoption Month. Funds assist adoptive parents with matching and placements, adoption finalization and helping birth mothers improve their lives through higher education — and much more. But, we can’t do it alone. Please read up on our programs and donate money where you are able. Your donation will make a huge impact. “Colorado Adoption Laws.” Findlaw, statelaws.findlaw.com/colorado-law/colorado-adoption-laws.html. “Considering Adoption.” The Best Source for Adoption Information, consideringadoption.com/adoptions-by-state/how-to-adopt-in-colorado. Freeman, Shanna. “10 Questions to Ask Yourself If You’re Considering Adoption.” HowStuffWorks, HowStuffWorks, 19 July 2010, health.howstuffworks.com/pregnancy-and-parenting/10-questions-to-ask-if-considering-adoption.htm. Human Rights Campaign. “8 Questions to Ask Before Starting the Adoption Process.” Human Rights Campaign, www.hrc.org/resources/8-questions-to-ask-before-starting-the-adoption-process. Parents. “Adopting a Child of a Different Race.” Parents, Parents, 4 Oct. 2005, www.parents.com/parenting/adoption/parenting/adopting-a-child-of-a-different-race/. Brittany is the Office Manager and Paralegal for Adoption Choices of Colorado. Brittany is the newest member of the Adoption Choices family and has loved every minute of it! Brittany first became involved in adoption while working at an adoption agency in Utah. 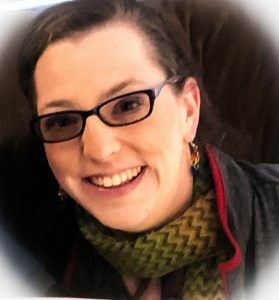 She started as a child care provider to the birth mothers, worked up to birth mother helper and lastly worked as Administrative Assistant, answering phones, having constant communication with adoptive families, maintaining the adoptive family files and running a monthly adoptive family training. Brittany traveled all over for adoptions in different states and would be there to support both sides during this amazing experience. It was through working at the Utah adoption agency that Brittany discovered her love for adoption and legal work. Her career path had been decided, Brittany moved to Colorado in 2010 to go back to school to become a Paralegal. At Adoption Choices of Colorado, she does all of the filing for adoptive parents and birth parents, preparing documents and supporting the staff with any task given to her. She is in daily contact with families, and loves helping each and every one of them on their journeys through adoption. Each day is different and that is the biggest thing that she loves about adoption. There is always something new and a challenge to overcome. Brittany sees the true meaning in adoption and the real “why” in the work that is done with adoption agencies. Seeing an adoptive family with their baby is the best feeling, knowing that a dream came true for that family! In her free time Brittany enjoys each moment with her husband and 2 daughters. Brittany also enjoys camping, hiking, vacationing, baking and reading. Our office is located off of I-70 and Youngfield Street. Take exit 264-Youngfield Street- turn left onto 32nd Avenue (stay in the right turn lane). Turn right onto Youngfield Street. Continue on Youngfield Street for 0.2 miles. The destination is on your right- 2801 Applewood Tech Center. Continue on Youngfield Street for 0.4 miles. If you have parked in the front of the building-once in the main door take the hallway to the left and go to the end of the hall. Turn right and Adoption Choices of Colorado is the first office on the right-suite 126. If you have parked in the back of the building- once in the main door take the hallway to the right to the end of the hall. Turn right and Adoption Choices of Colorado is the first office on the right- suite 126. Three reference letters, with phone numbers for purposes of verifying. Colorado Applicants: We will send the reference forms to the references you provide on your application.